Some carrot cake purists may say that raisins do not belong in carrot cake. I, however, am not a carrot cake purist and this isn’t real carrot cake anyway. I think the raisins are awesome in these oats because they plump up overnight and add some delicious sweetness! Chopped dates would be good in there too. I haven’t posted any updates to my Quitting Cereal campaign in a while, but I have been continuing the journey. I have to say, I’m loving the way I feel after a breakfast that includes some eggs and vegetables! And some sausage or whatever else I decide to throw in. Even having an egg white omelet with a half serving of cereal leaves me feeling better than a full bowl of carb-loaded gut-bombing cereal. 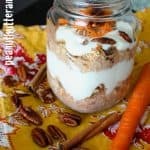 When I know that I won’t have time to cook up some sort of egg concoction in the morning or don’t feel like it, I usually turn to overnight oats. I love them! In a small bowl, mix yogurt and protein until smooth. Set aside. 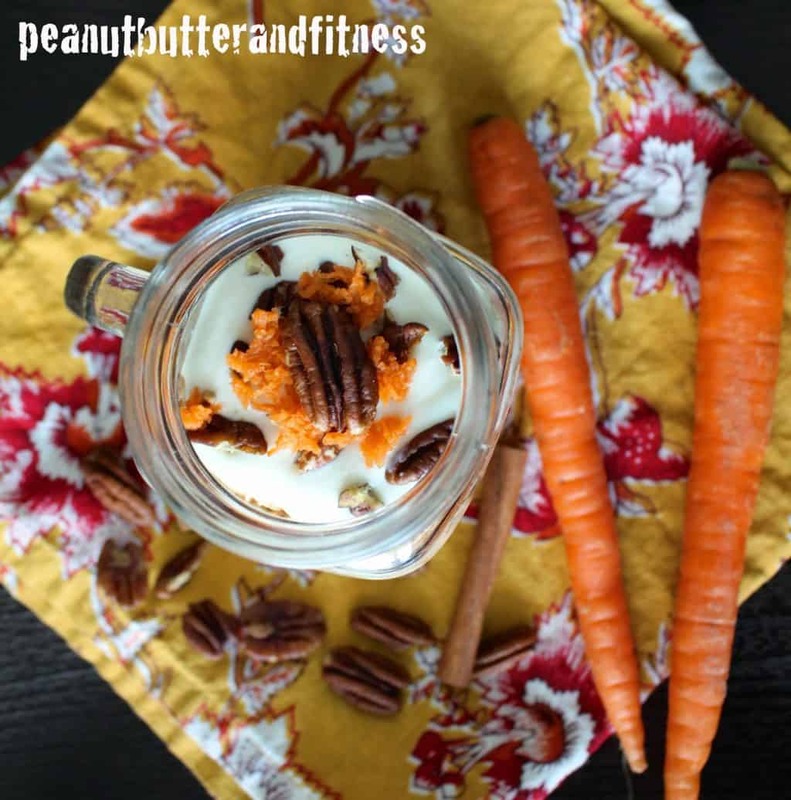 In a bowl, combine all other ingredients except chopped pecans. 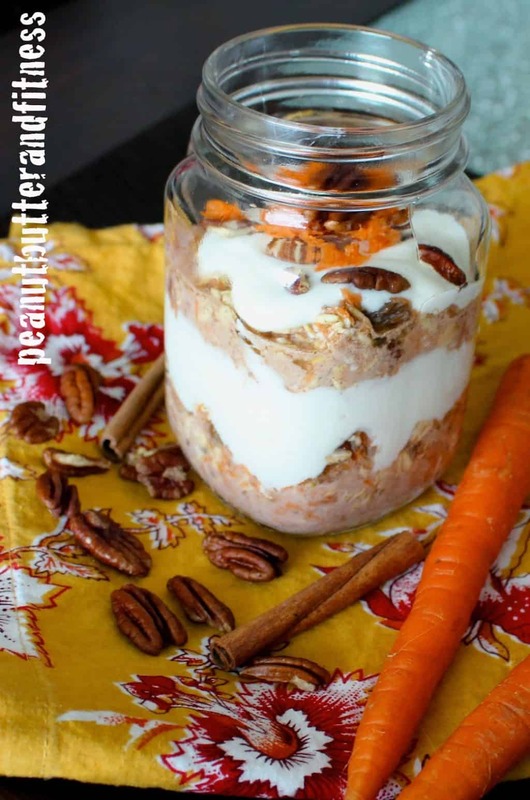 Layer oat mixture and 1/2 of yogurt mixture in a resealable container or mason jar. Refrigerate overnight. Top with other 1/2 of yogurt mixture and chopped pecans before serving. Hi Kim, I usually stick my overnight oats in the microwave for about 30 seconds in the morning to take off some of the chill. If you're a big fan of warm oats, go for a minute in the microwave – they won't be hot, but you don't want to dry them out by microwaving them for too long.